Getting a flu shot at the start of the flu season, year after year, may someday be replaced by one shot for life, a new study suggests. Influenza vaccines are updated annually to target the current strain of flu circulating. But new research points to the possibility of a universal flu vaccine – one that can be given once and offer a person lifetime protection. Key to a universal flu vaccine are antibodies that train the immune system to zero in on the part of the influenza virus that doesn’t change from year to year. Vaccines with a higher number of the special antibodies offer a future where all strains of the flu could be defused. The flu is a respiratory illness that affects millions around the world, killing as many as 500,000 people a year, according to the World Health Organization. The Centers for Disease Control and Prevention recommends annual shots as the most effective way to fight the flu. An annual vaccination is needed because of the mutating nature of the influenza virus. And the yearly vaccine only works if it matches the current flu strain. A universal flu vaccine would be a smarter vaccine, able to combat influenza viruses in a more long-lasting way. Vaccines trigger antibodies that help prevent the flu by clinging to the influenza virus and stopping it from infecting cells in the body. Scientists at McMaster University, the Icahn School of Medicine at Mount Sinai in New York and the University of Chicago teamed up to study special antibodies that enlist the help of white blood cells – extra soldiers – to help destroy flu virus-infected cells. They found that the antibodies needed to do more than cling to the flu virus – they needed to bind at specific sites on the virus. “Now that we know the places where antibodies have to bind, we can modify our vaccines so that we generate those antibodies in higher numbers," said Matthew Miller, the study’s senior author. For now, an annual shot is the best way to fight the flu, according to the CDC. About two weeks after getting vaccinated, a person’s body will develop the antibodies needed to fight the flu. Because of the 14-day lag, getting vaccinated before flu season begins offers a person the best chance of preventing the disease. The study was published in the journal Proceedings of the National Academy of Sciences of the United States of America, and McMaster University issued a news release on the study’s findings. If you need a flu shot, contact your health care provider. 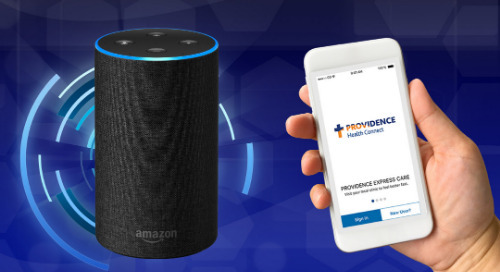 If you don’t have a provider, find a Providence provider here.